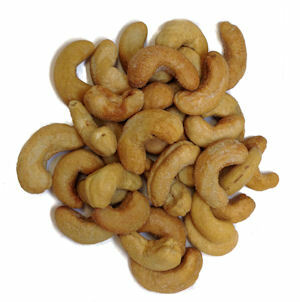 Home / Products / Candy / Nuts / Jumbo Salted Cashews, 1 lb. These large crunchy nuts are perfect for any special occasion. They’re a great traditional Holiday gift or delicious party snack. Cashews, Canola Oil and Salt. May contain Wheat, Milk, Peanuts, Tree Nuts, Soybeans and/or Eggs.